It’s nearly time for the peonies to bloom in China. But not for Oleg Deripaska’s plantings, at least not this season. According to sources at Deripaska’s electricity company, Eurosibenergo, the Chinese government has so far refused to approve the investment of state-controlled funds by China Yangtze Power Company (CYPC) in Eurosibenergo, and thereby guarantee its initial public share offering (IPO) on the Hong Kong Stock Exchange. Accordingly, the Eurosibenergo is off for the second time in four months. But Deripaska isn’t giving up on his Chinese courtship. Eurosibenergo has simply announced that it is postponing its share sale for another six months. But will Bejing love him better when Deripaska is six months older, and the Eurosibenergo share sale dead and buried? To answer that, we must re-read the classics. 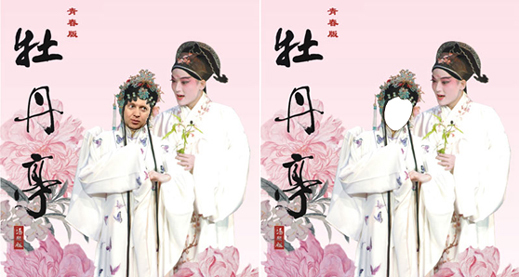 “The Peony Pavilion” is one of the most famous of theatre works from the Ming Dynasty, and was first performed in 1598. The plot concerns an adolescent daughter — made important because she is the daughter of an important official — who falls in love while in a garden, asleep and dreaming. The lover doesn’t appear in the flesh, and the girl can’t be rescued from her lovesickness, so she dies. The beau, a scholar by profession, starts dreaming of the girl himself; digs up her corpse; resurrects her; and is pardoned for his combination crime of grave and cradle robbing by the emperor. So everyone is happy at the end. In a following Bloomberg advertisement, this one dated January 21, Eurosibenergo said it would launch its Hong Kong share sale “in the first quarter, according to two people familiar with the matter. “And so it might have, if CYPC had delivered on the promise of approval from the Forbidden City. If to count the number of Bloomberg sources familiar with the matter, this claim must have been one-third less credible. This implied that all that has been agreed between Eurosibenergo and the Chinese is a bank feasibility study on possible construction projects — no agreement by CYPC to invest in Eurosibenergo shares. A Eurosibenergo insider adds that in fact, CYPC had been asked to participate in the IPO last November, but permission had been refused by Beijing. The source claims this ban has now been lifted. But it appears there are Chinese conditions which may be as good as a veto on the IPO investment, if more politely expressed. According to the source, the Chinese autrhorization came earlier this year. But by then Chinese stock market conditions had deteriorated in both Shanghai and Hong Kong, adding to the downward pressure on Eurosibenergo’s valuation, and increasing the reluctance of Chinese investors to buy. CYPC was told by Beijing not to lose its proposed $168 million share purchase, no matter how big a bloc of Eurosibenergo shares the money could purchase as the Russian company’s valuation continued to dwindle. That appears to have been Beijing’s first condition. The second appears to require Eurosibenergo to reorganize its relationships with its subsidiaries and associated companies, and establish a broader base for operations, revenues, and profits – broader, that is, than its dependence on selling electricity to Rusal. This is now being planned to take the form of a share swap with RusHydro, the state hydro-electric power holding, and Inter RAO, the state controlled electricity supplier and exporter. Until that happens, however, the IPO will have to wait. An elegant Chinese conclusion, to be sure — but not exactly the happy resurrection with which “The Peony Pavilion” concludes. Still, if you are patient, this is a tale to look forward to hearing, and rehearing, for a long time to come.